This season, I’m bringing my style back down to earth by embracing one of the latest footwear trends: the kitten heel. It should come as no surprise that comfort is taking precedent in many of the footwear selections for designers and style mavens. Sneakers were all the rage for the fashion set last season, and heelless options such as brogues, loafers and slip-ons continue to be a go-to for fashion enthusiasts wanting to give their feet a bit of a reprieve as well. However, for those who want to add a little height to their look without loosing the comfort aspect, the kitten heel is the best thing to happen to effortless style since the invention of the blue jean. Love these heels! 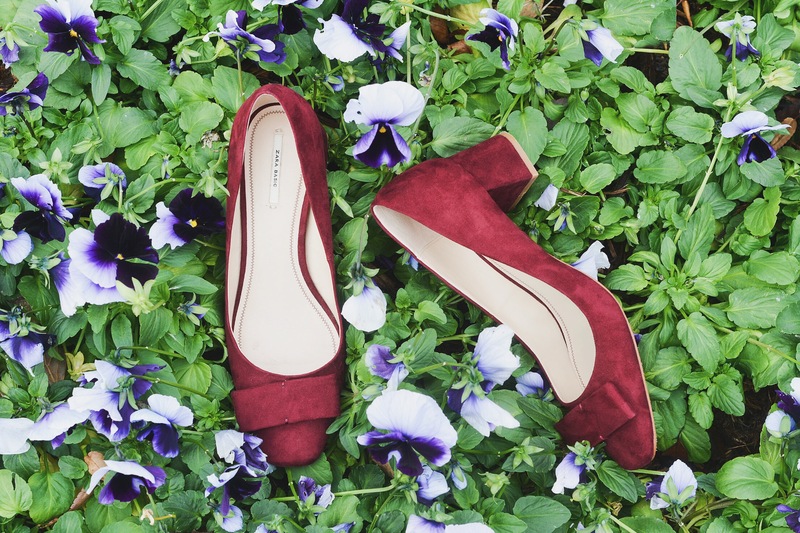 The color is stunning – I’ve been hunting for some great low heels, I love your picks! I didn’t think I’d embrace the sneaker trend as much as I did and I’ve also noticed I’ve shamelessly opted for flats over heels most times too. This girl will certainly embrace the kitten heel.